Discover the Forest Ridge difference. We pride ourselves by providing residents with clinical excellence, and “compassionate care with heart” in their journey to recovery. Our newly built facility sits safely on the hospital campus of Woodland Park, CO. With gorgeous mountain views, everyone is sure to find Forest Ridge Senior Living a relaxing and calming environment. Our friendly and highly trained nursing staff provides an encouraging and comfortable stay for all. For both short-term guests and long-term residents, we offer an exceptional setting ensuring a positive experience for you and your family. Whether you need rehabilitation, long-term skilled care, memory care, or in-patient hospice stay, Forest Ridge is sure to make you feel right at home. 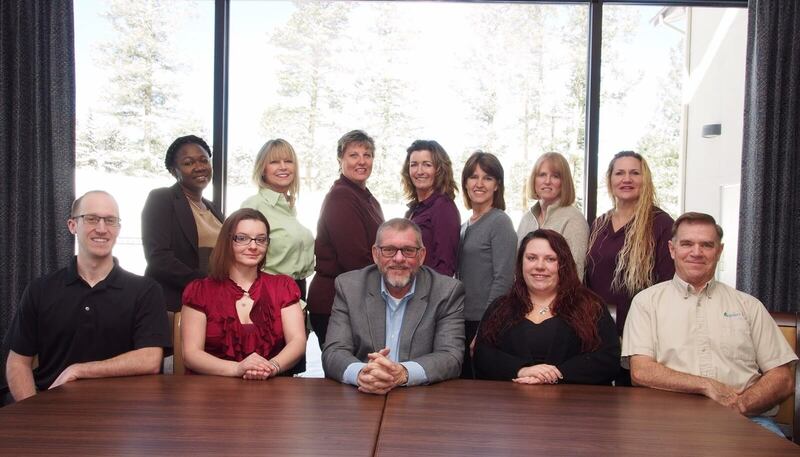 We look forward to answering any of your questions, and welcome you to Forest Ridge. Forest Ridge Senior Living, LLC has been recognized by US News and World Report as one of “America’s Best Nursing Homes” for 2018 -2019. US News & World Report evaluated over 15,000 nursing homes nationwide, in every state and nearly 100 major metropolitan areas. Across the nation approximately 2,000 nursing facilities earned a High-Performing rating in Short-Stay Rehabilitation and a total of 2,975 nursing homes earned the designation of a U.S. News’s Best Nursing Home. Forest Ridge Senior Living and Rehabilitation offers multiple levels of care including Rapid Recovery Rehabilitation, Long Term Skilled Care, and Memory Care. It is located on the hospital campus in Woodland Park, CO and is also a recognized preferred provider of the UC Health system. For over forty years I have been involved in the nursing home / retirement service sector. I didn’t intend on this being my career path. However, from the moment I first went to work in a nursing facility, to be able to go to college, I knew I had found my life’s calling. My career has included individual and multi-site management consisting of all aspects of providing services to seniors. During the course of my career, I have developed a personal mission of, “Giving to those who gave us life.” In our culture nursing homes are often seen as a social “taboo.” I wanted to be involved in helping to change the industry. The desire to help change the perception of skilled nursing facilities is what guides and motivates the team at Forest Ridge. For our team, our residents come first! Jamie Hutchins, Director of Nursing at Forest Ridge Senior Living, began pursuing an education in nursing after being a homemaker and home educating her 4 children. With the support of her family, Jamie graduated from nursing school with honors in the top 10% of her class. 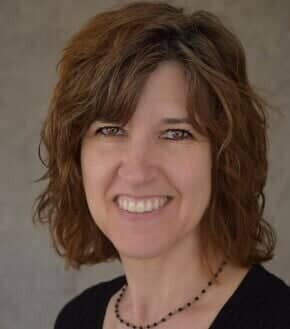 Jamie began working in Colorado Springs at a skilled nursing facility as a charge nurse and then became a primary care nurse for a hospice organization. When Forest Ridge Senior Living opened, Jamie was among the first group of nurses hired. Jamie came on full time as MDS Coordinator in June of 2016 and accepted the position of Director of Nursing in May of 2017. Through her work at Forest Ridge Senior Living, Jamie desires to honor the Lord by serving others — the residents, their families, and the Forest Ridge staff. 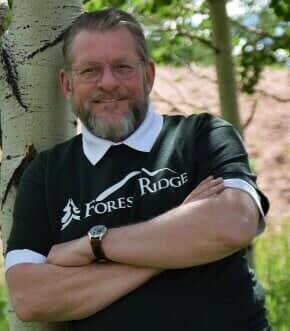 This desire is summed up in a statement often heard among the management at Forest Ridge Senior Living — “Compassionate Care with Heart.” When Jamie is not working, you will find her exploring the beauty of Colorado with her husband or spending time with her children and grandchildren. Twenty-nine years ago I walked into a Skilled Nursing Facility for the first time to apply for a job as a nurse assistant. This simple step opened my world to my life’s career and passion. Throughout the years I have moved from direct nursing care to the financial aspect. I am an active member of Colorado Health Care Association (CHCA) and serve on a Medicaid Provider Committee. I have overseen 26 Colorado facilities as their Medicaid manager while working with residents, families and the counties to understand the Medicaid application process. I have overseen the Business Office functions for multiple facilities and been the helping hand to those looking for answers. And now, I am happy to provide all this knowledge and support to my own local community as I walk the residents, families and others through the insurance maze. Promoting Positive Community Care and Business Development at Forest Ridge. 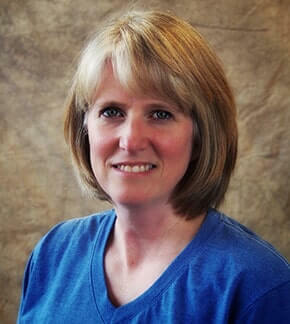 Laurie McIlveene moved to Woodland Park, CO from Dallas, Texas in 1985. She is a graduate of Michigan State University earning a double major in Business Administration and Advertising. 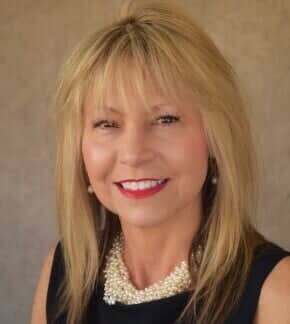 With over 25 years experience in the healthcare industry occupying various positions in pharmaceuticals, hospice and home health care, Laurie has the accomplished ability in developing and building long standing relationships with hospitals, physician groups and various healthcare organizations within El Paso, Teller and Park counties. 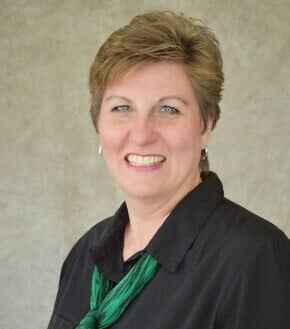 Joining the Forest Ridge team in June of 2017, Laurie is committed to “Compassionate Care with Heart!” while incorporating the daily principals of making each patient and resident feel personally welcomed, special and valued. In her free time, Laurie can be found hiking the beautiful trails and mountain landscapes of Colorado. She loves cooking, dining, entertaining, travel and the study of architecture. She is currently designing her fourth home in Woodland Park. 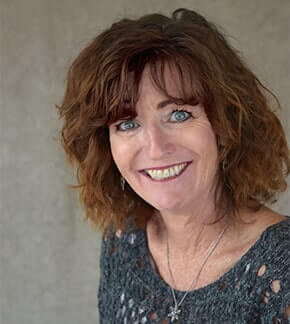 Kathy is a graduate of The University of Central Florida in Orlando, where she received her Bachelor of Science degree in Physical Education, in 1990. After graduation Kathy worked as a middle school physical education teacher in New Smyrna Beach, Florida for seven years. Robert, Kathy’s husband, accepted a position with the Air Force and they moved to Woodland park and started their family. Fortunate to be a stay at home mom, Kathy substituted in the local schools to be near her children. Once the girls were grown she became a CNA: Certified Nursing Assistant. She worked as a CNA for a year and a half before becoming Activities Director at Forest Ridge Senior Living. Kathy enjoys this new and challenging position and is determined to add quality to all residents’ lives at Forest Ridge. On Kathy’s days off she can be found on the slopes of many ski resorts, and when the ski season is finished, hiking or biking the trails of Colorado. I’ve been married for 27 years and have two children. My family and I moved here from Florida, and have lived here in beautiful Woodland Park for 12 years. I have worked in housekeeping and childcare for many years, and owned my own business in childcare as well. I started working here at Forest Ridge almost two years ago when it first opened as Director for Housekeeping/Laundry. It has been a great experience getting to know the staff and residents here. Shane grew up outside of Omaha, Nebraska where he went to college at Clarkson College. It was during one of his clinicals where he fell in love with skilled nursing facilities. He loved building relationships with the residents, and helping them to improve their daily living through therapy to help them return home, or to maintain their highest level of function within the nursing facility. 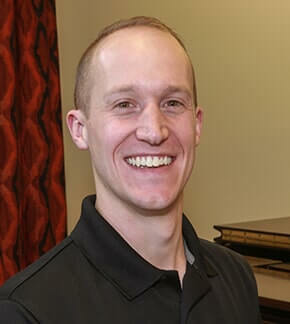 After graduating from Clarkson College in 2012, Shane moved to Grand Junction, Colorado with his wife where he worked at a skilled nursing facility. After 3 years they moved to Woodland Park where they fell in love with the people and the community. Shane has been with Forest Ridge since its opening but accepted the Director of Rehab position in March of 2017. When not working, Shane loves to spend time with his family, and loves going camping, hiking and anything outdoors.